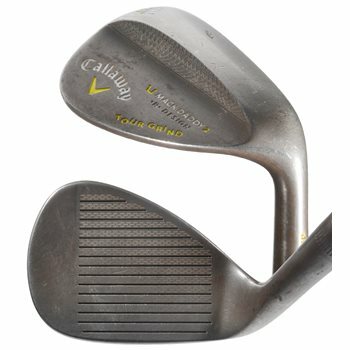 The Callaway Mack Daddy 2 Tour Grind Slate wedge was created by Roger Cleveland and is constructed from 1020 carbon steel. The Tour-inspired shape and slate finish wedge features laser milled micro groove pattern for increased surface roughness for added spin and control. The 5V Groove Pattern technology which has 39% larger grooves to produce 25% more spin out of the rough. This versatile wedge has a tour tested head design and produces exceptional spin from any playing condition on the course. Review by DB, 1 year ago.